Everyone was expecting the Messiah to come soon, and they were eager to know whether John might be the Messiah. 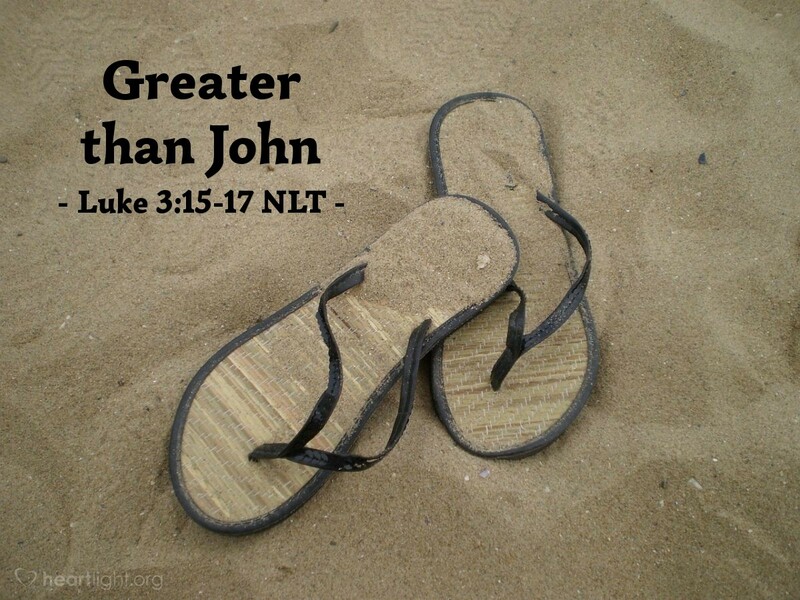 John answered their questions by saying, "I baptize you with water; but someone is coming soon who is greater than I am — so much greater that I'm not even worthy to be his slave and untie the straps of his sandals. He will baptize you with the Holy Spirit and with fire. He is ready to separate the chaff from the wheat with his winnowing fork. Then he will clean up the threshing area, gathering the wheat into his barn but burning the chaff with never-ending fire." The Super Bowl has come and gone for another year. If you're interested in American football, you might remember several key plays about this year's game. What I find interesting, however, is that invariably the outcome of the Super Bowl, along with other key games, is often dependent upon the guys who are frequently overlooked — the men in the trenches, the offensive and defensive linemen. Most coaches suggest that turnovers and people in the skilled positions are crucial to a victory. While the coaches may be right, the outcome of the game is usually also determined by the players whose work is seldom discussed unless they mess up. John was one of those men in the trenches. He could have kept a huge following for himself. He was immensely popular. Instead, John kept his integrity and didn't change his message for anyone, including an adulterous king (Luke 3:19-20). John stuck to his purpose, pointing others to Jesus and away from himself. Jesus emphasized that this sort of servant is the greatest kind of person in his Kingdom. Jesus said this kind of servant is also the greatest kind of person each of us can be! Father, make me a servant. I want to live knowing that I am pleasing you and honoring Jesus. If folks can't remember me, but they know Jesus because I've touched their lives, then make their praise of your Son satisfaction enough for me. In Jesus' name, I pray. Amen.